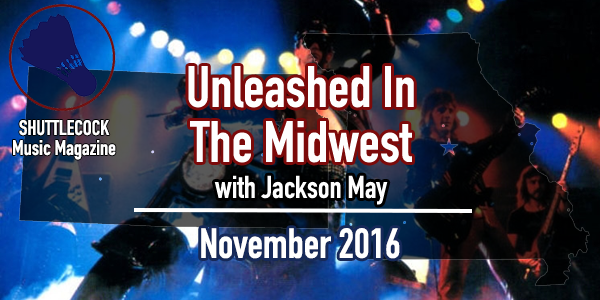 Kansas City and Lawrence metalheads should be thankful this November for the shows that they'll be feasting on. Bands from Sweden, Russia, and several parts of America will be coming to town. Don't be turkey and miss these gigs! Sweden is the land of all things heavy and melodic, so it's good that the band who might combine those two elements together better than any other right now -- Dark Tranquility -- is returning to the area. The band is a Gothenburg melodeath band that is still actually making good music (*cough* In Flames *cough*) and the support here is just as good. Finnish band Swallow The Sun opens on the heels of their fantastic triple-album (you read that right) "Songs from the North" for what's sure to be one of the best sets of the year. The one-two-three punch of Enforcer, Starkill, and Mercurial might just wear everyone's necks out before the main treat. A perfectly cold show for the weather getting chilly. You want more cult underground black metal? You got it. Anicon will be coming off a long tour with Colorado atmospheric black metallers Wayfarer to head to The Riot Room's basement for its inaugural show. Featuring members of Yellow Eyes and Krallice, Anicon is a bit heavier than those two atmospheric black metal groups, but the result is nothing short of stunning. Insanity personified as a live group, Vickers and local black metal madmen Verrater open this great show. A smattering of all things metal, there's not really any one thread that ties all these groups together, instead making for a varied night of excellent heavy metal. Epica is one of the top-tier symphonic power metal bands in the world right now (don't even attempt to mention Nightwish in the same breath as them), whereas Italy's Fleshgod Apocalypse takes the symphonic elements and combines them with crushing technical death metal with operatic flairs for something truly unique. Not to mention Russia's Arkona, clad in animal fur, bringing epic black/folk metal and The Agonist rounding out the lineup. A little something for everyone. Time for a heavy metal history lesson! As the band Metallica wanted to emulate before they even recorded the first note of their first demo, Diamond Head has been influential to so many of heavy metal's biggest bands. It's easy to say that without Diamond Head, we might not have any of the Big Four of Thrash as we know it. With 2016 being their 40th year of existence, these guys still put on one hell of a show. And it's at a casino - what's more metal than that?